Lavender is known for its purple colour and pleasant aroma. For many, summer isn’t complete without fields of purple and the sweet smell of lavender. 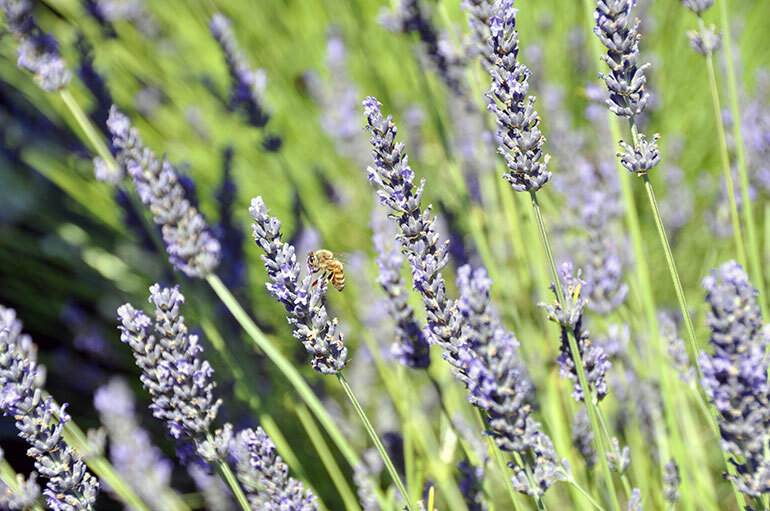 Valued especially for its pleasant aroma, a new study from UBC’s Okanagan campus has discovered the gene that gives lavender its iconic smell and researchers hope that one day it might lead to a super-smelling plant. Lavender essential oil contains many different types of compounds, but one in particular—S-linalool—is responsible for giving the plant a well-known sweet aroma. The problem is that the genetic instructions that produce the sweet compound have been poorly understood. Mahmoud explains that the gene, which is responsible for a protein that synthesizes the valuable compound, is rarely expressed and produces only very small quantities of the sweet molecule. That has made it difficult to isolate and study. But Mahmoud and his team were able to overcome the challenge by sequencing an RNA copy of the gene—a temporary blueprint that gets copied and released into a cell as it gets turned into a functioning protein. From there, they were able to sequence the gene and model its function. The research was published in the journal Planta with funding from the Natural Sciences and Engineering Research Council of Canada.